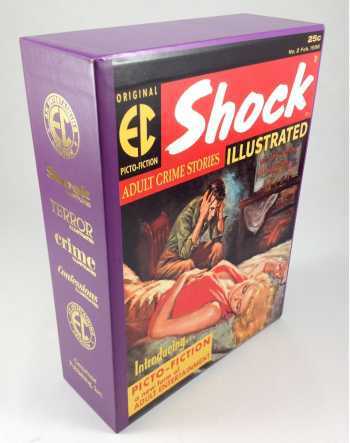 Four hardcover volumes in a slipcase: Terror Illustrated, Shock Illustrated, Confessions Illustrated, and Crime Illustrated. Seldom seen and highly sought-after for generations, Shock Illustrated, Terror Illustrated, Crime Illustrated, and Confessions Illustrated are among the hardest-to-find EC titles. 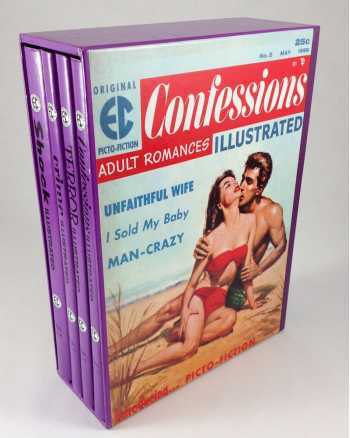 Not only are each of the published issues collected in this deluxe hardcover set, but so are 18 previously unpublished Picto-Fiction stories! 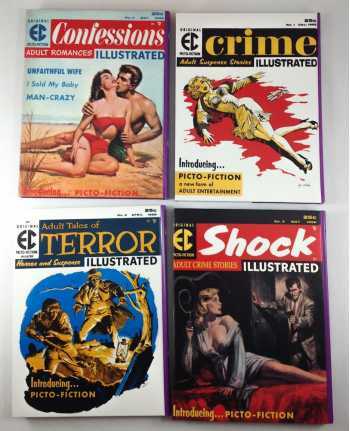 Featuring the work of artists Reed Crandall, Jack Davis, George Evans, Graham Ingels, Jack Kamen, Rudy Nappi, Joe Orlando, Bud Parke, Charles Sultan, Angelo Torres, Al Williamson, and Wallace Wood, and writers Robert Bernstein, Al Feldstein, Daniel Keyes, John Larner, Jack Oleck, and Richard Smith. Plus notes and comments by EC scholars John Benson and Roger Hill, an essay by Bhob Stewart, and an interview with Al Feldstein. 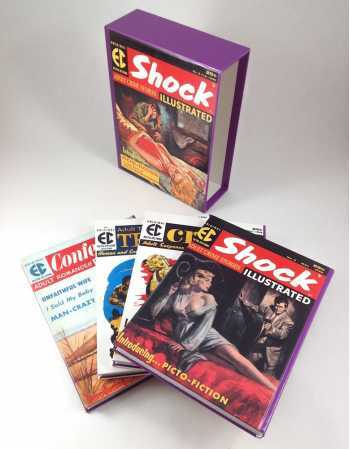 Russ Cochran and William Gaines collaborated on the Complete EC Comics Library series to create the definitive reprinting of these legendary 1950s comics. The black & white reproduction is excellent and the large page size allows one to fully appreciate the artwork. The ultimate format for these groundbreaking comics.